Shade? Add shade-tolerant seed such as fescue to thin areas under dappled shade. Crabgrass? 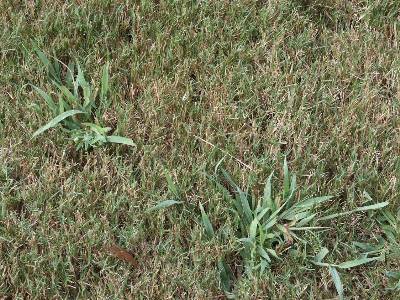 Rip out crabgrass and add a blend of bluegrass and rye seed for heat and sun tolerance. Moss or rock-hard dirt? Aerate (poke little holes in the soil), add compost, and seed. 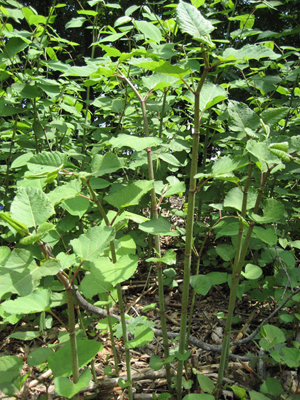 If you’re facing tougher problems like grubs or Japanese Knotweed, have we got the post for you! 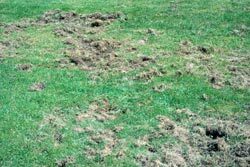 In general, any lawn will benefit from core aeration, compost application, and overseeding at this time of year. Adding this treatment you your annual maintenance will improve your soil, thicken turf, and reduce weeds over time. I usually listen to Chris Brogan‘s podcast because he has great stuff to say about being a human doing business with humans. But I have to share yesterday’s episode with you because he’s talking sustainability with John Blue of Truffle Media. Listen here. The real juicy part for me was around minutes 18-26, where John goes into some background on the National Organic Program, and the increasingly meaningless use of words like “natural”, “sustainable”, “local”, and “family-owned”. At least when it comes to food, “organic” still has a technical meaning as defined by the USDA & NOP. 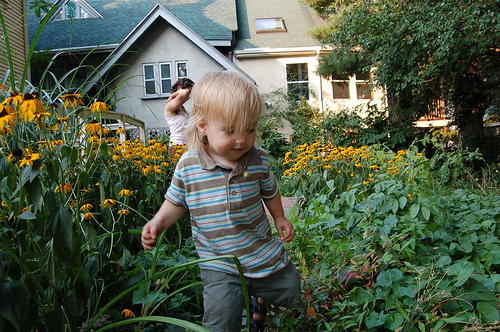 (As of now, there is no organic certification for landscaping — more on that here). Those other buzz words are just as meaningless in the grocery store as at the garden center. Nonetheless, companies from Whole Foods to Walmart are responding to the consumer interest in organics, and to the extent that we continue to be smart consumers and vote with our wallets, that’s probably a change for the better. You (if you’re like most of our clients) choose natural and organic because it’s good for your body, your family, and the earth. You choose sustainable and local because it’s good for the environment and community. But as Chris points out in his podcast, to really know what you’re feeding your kids, you have to go to the farm to see the happy hens scratching in the chicken tractor, getting the fallow fields ready for planting. And to know the impact of what you’re feeding your soil and plants, you have to know the folks who you are inviting into your yard. As it often does with the Human Business Way podcast, it ultimately comes back to the human side of business: taking care of people (employees, clients, community-members, partner businesses) makes the business sustainable, strong, stable. We couldn’t provide custom maintenance plans tailored to each customer and property without investing in training each employee on soil conditions, hand-pruning of different types of shrubs, identification of pests and diseases. Without relationships with industry associations who keep us current on new codes and technical specifications, we would be foolish to provide our lifetime guarantee on the patios, driveways, and walls that we build. And most importantly, being responsive to feedback from clients and design partners drives us to constantly improve. It’s our 25th year in business. We’ve got some cool stuff to share with you this year. But for now, let us know how we’re doing. Does this stuff matter to you? Reply in the comments, post on Facebook or drop me an email at carolyn (at) ayardandahalf (dot) com. Every year, we attend trade and garden shows where companies peddle their latest, greatest green wares. There is often someone promoting their “100% certified organic” 4-step lawn service, and I have fun pretending I’m a homeowner and grilling them about their methods. Why? Currently, no agency “certifies” landscape or lawn care practices or companies as organic. So, how do you know that your lawn service is keeping your family safe and your landscape healthy? OMRI (the Organic Materials Review Institute) certifies organic materials, like fertilizers and composts, and certified organic produce growers must use products certified by OMRI or other agencies. The National Organic Program (NOP), part of the USDA also certifies organic produce, but not landscapers or ornamental growers.So, how do you know your landcare company is legit? 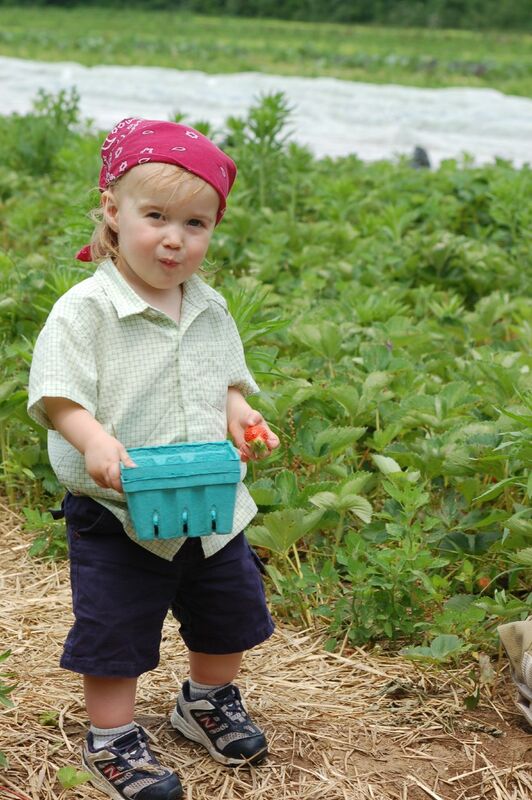 NOFA (the Northeast Organic Farming Association) was one of the leaders in certifying organic fruit, vegetable, and livestock production in the United States. Now, they are the leaders in setting and training in a voluntary standard for organic lawn and landcare. NOFA-Accredited Landcare Professionals pledge to maintain these standards in the landscapes we design, install, and maintain. There is currently no audit or certification process beyond that.If your “all-natural” landscaper is not NOFA accredited, ask what materials, methods, and principles they use in their work. Also, consider their overall business practices: if they are paying fair wages to their workers, providing proof of insurance and other certifications, and getting involved in serving their community, there is more of a likelihood that they are also “walking the talk” when they say that they are “green.” Greenscapes, a local environmental non-profit, has developed a helpful consumer guide for choosing an environmentally-responsible landscaper. When do I prune this? How high should I mow my lawn? 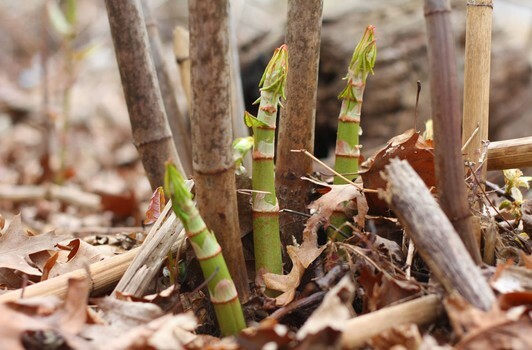 Can I cut back my perennials after they turn brown? Get answers to these and other basic organic maintenance questions by downloading this simple checklist. Then, go deeper with landscape tips and design ideas from our bi-monthly newsletter. Enjoy! Something we forgot to answer? Give us a shout on Facebook or Twitter, and we’ll try to help. In a recent Customer Advisory Board meeting, someone mentioned that “sustainability” has become a meaningless term. If we are to say that we do sustainable landscape design, construction, and maintenance, we have to define our terms. To that end, here’s an inventory of our sustainable practices. In developing these standards for ourselves, we have drawn from the Standards of the Northeast Organic Farming Association’s Organic Landcare Committee, the 2009 Sustainable Sites Initiative (SSI) benchmarks– it’s kinda like LEED for landscapes — and Sustainable Landscape Construction (Thompson & Sorvig, 2008). Use pre-design site assessment to identify and protect existing natural features, minimize waste, and determine sustainable grading, drainage, hardscape, and planting options. Select plants with value beyond aesthetics: food or cover for desirable wildlife and pollinators, edible/medicinal, soil improving, etc. I was tickled to hear this story on a day when we were reviewing lawn installation with our crews! Having designed, installed and maintained many organic and sustainable landscapes using this and other products, I’d say that like many other high quality, weed-free grass seed mixes, Pearl’s can be sustainable choice for the appropriate application and with good soil preparation and maintenance. However, a lawn’s success depends on proper seed selection for the conditions. Fescue blends like Pearl’s will perform better than the standard bluegrass in light shade, and as advertised, will require less inputs of water and nitrogen. The tradeoff is that fescues grow in clumps rather than spreading, and so are less tolerant of wear from regular foot traffic. Many of us want lawn area for kids and pets to play on, so in those conditions, fescue requires regular overseeding to create a dense turf. Any well-maintained turf, organic or conventional, will require some upfront cost for good soil preparation, as well as ongoing inputs of maintenance and materials. Consumers concerned about sustainability, whether environmental or economic, should limit lawn areas to the size necessary for play and enjoyment, rather than using turf as the default landscape element for its relatively low up-front cost.